- Played at a relatively small school - ESD has 400 kids from grades 9 through 12, and competes in the private school classification in Texas. Transferred there from Plano HS. 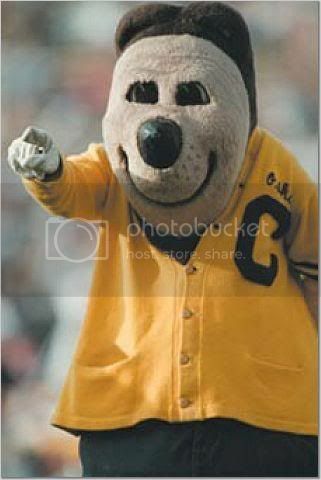 - Didn't hit it off with Mike Leach, according to a Rivals site, so he's not very piratey. His father, who has been quite involved in Brock's career, fell in love with Tedford early. 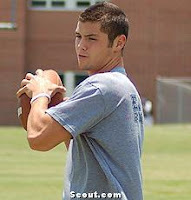 - Can run pretty well; covered 900 yards and nine TDs his senior year. - Volunteers with Ronald McDonald House and the Dallas Food Pantry. Nice touch. 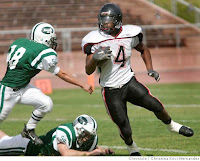 - Gained 3,325 yards and scored 48 touchdowns at Salesian. This year. - Won the 100m and 200m at the NCS Meet of Champions. Placed third and fifth in those races, respectively, at the CIF state meet in 2006 with a broken bone in his foot. May be faster than DJax. - Named Player of the Year by the Chronicle. - Quote from his HS coach: "He's never late. Never cuts class. He does his homework; never misses practice. He practices hard, follows instruction and is respectful to others." - His father played football for UNLV (and in the CFL), which is why the Rebs were invited into the process. - Recruited primarily as a DB by SC and UCLA. Vereen is super quick and some think he might challenge Best for the fastest back in the class. 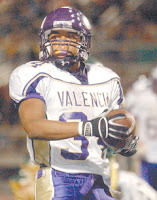 - Rushed for 359 yards and 6 touchdowns on fourteen carries against Golden Valley his senior year. His coach took him out midway through the second quarter. - Will likely grey shirt and count against the '08 class. - Monterey Athletic League Defensive POY at linebacker; Monterey County Offensive POY; Small Schools All-State team. 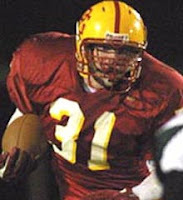 - High school team won three consecutive league titles. - Shares same name as 19th century Irish physicist who is thought to be the first to link CO2 with global warming. scout.com shows that, save those recruits from HI, all LOIs are in, with one exception: Jahvid Best. HI is explained by the time zone. Should I be concerned about Jahvid? The LOI is in it just hasn't been posted in the database. No worries.